"Endangers the lives of our fighters"
The Taliban has told mobile phone operators in Ghazni, Afghanistan, that they have to shut down their phone networks, as it says they can help track insurgent fighters. "We have informed mobile companies operating in Ghazni to turn off their signals during the daytime now as it endangers the lives of our fighters," Zabiullah Mujahid, a Taliban spokesman said to Reuters. Despite already forcing operators to shut down the phone networks in the night, the Taliban now wants communications to be ceased for a further ten days, with the possibility of more. Nato and Afghan officials are claiming the move to shut down the signals is the Taliban's way of stopping villagers for alerting them to the presence of insurgents. 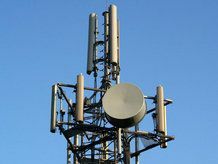 Mobile phone masts have been destroyed in the past by the insurgents, creating difficulties for many as their handsets often represent their only form of communication.